Looking for a night full of raw energy and sophistication? 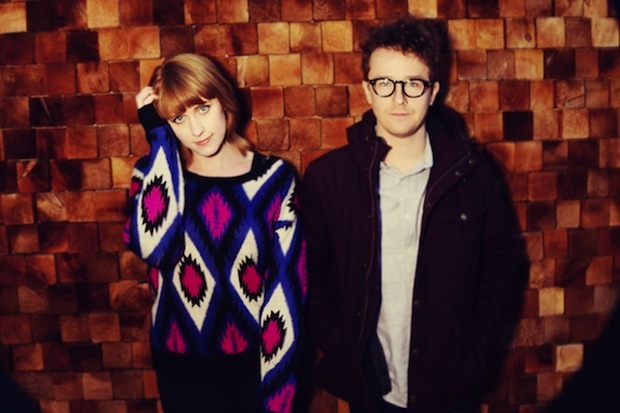 Then join us as we check out Wye Oak with Braids at Mercy Lounge tonight. Doors will be opening at 8 pm and all the fun will begin around 9 pm. If you are not familiar with the Baltimore based indie folk rock duo of Andy Stack and Jenn Wasner, aka Wye Oak, then you are in for a treat, ladies and gentlemen. With a sound like a half-forgotten dream, it’s impossible to not fall in love with this indie-organic fused pop. Tonight’s tonally-inventive display will also feature the constantly recording and touring Canadian experimental pop group, Braids. If you want to learn more about this presentation of melodic and dense electronic color then click here to keep reading. Tickets are still available right here for only $17. Following two years of touring with their 2011 release, Civilian, Wye Oak has just graced us with their new album, Shrieks. With the likes of Pitchfork and Spin spouting out phrases like, “all-over chills” and “assertive, confident, and captivating…”, to say we are pretty excited would be an understatement. Ditching the guitars and embarking on a new chapter fueled by a synth-pop atmospheric touch, the duo masters a dynamic of abstract melodic musing. To get a glimpse take a look at their new video for the 80s charged dreamy hit, “The Tower”. Originally from Calgary, Alberta, Braids, the three-piece band with their intelligent display of dreamy dance pop, has been touring constantly following their 2013 release of Flourish // Parish. An impressive and evolutionary jump since their 2011 debut, Native Speaker. With an eery and almost ethereal voice, they draw you into a siren-song of a trance. The chills will start to ebb their way up your spine as you hear Raphaelle Standell-Preston’s voice ring out in a clean, clear, and alluring glow in the popular single “Fruend” off of Flourish // Parish. Take a listen here. Wye Oak, and Braids will perform Tuesday, May 20th, at Mercy Lounge. The show is 18+, begins at at 9:00 (doors at 8:00), and tickets are available for $17 here .